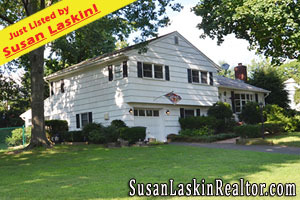 Pascack Valley NJ Real Estate | Pascack Valley Real Estate - Expert Local Real Estate Information from Susan Laskin, Your Pascack Valley Realtor! River Vale NJ Real Estate – Remarkable Colonial! Remarkable Opportunity! Magnificent Condition! 145 Geiger Drive in River Vale ($728,950!) 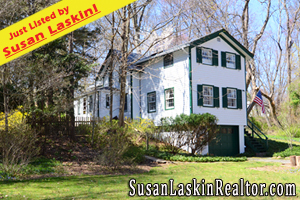 is an Exquisite 4 Bedroom Young Colonial in STELLAR location backing up to protected picturesque wooded property. 2 Story Entry Foyer. 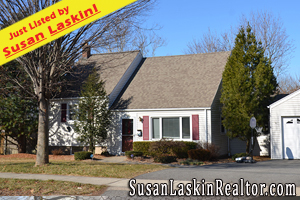 Wonderful Kitchen w/ Breakfast Room overlooking wonderful oversized Deck & Private Rear Yard. Open Flow to Living Room and Dining Room for Entertaining. Spacious Family Room off the Kitchen has a gas fireplace. Huge Master Suite w/ Architectural Ceiling, large Palladian Window, ..2 Walk in Closets, & Spacious Master Bath with Whirlpool & Stall Shower..3 Additional Bedrooms and Full Bath..This home is located in a beautiful community of wonderful homes..close to the town center..River Vale, a sought after community, is known for its top rated schools and excellent library..EZ NYC commute by Car, Bus and Rail! !This is a home to be cherished! Looking for more River Vale NJ Real Estate? Browse through my Feature Homes! Some incredible listings across the magnificent Pascack Valley towns!